I know this is a quickie short post but as it was my 21st yesterday I felt that pfft its my birthday I can do what I wanna! 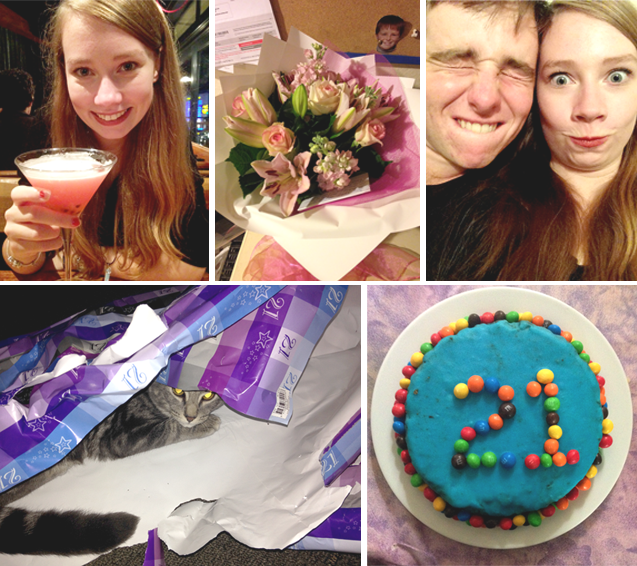 I had a few birthday celebrations in the lead up to the actual day with my family, Brad's family, and friends. The actual day unfortunately started with a 9am class but I got to catch up with friends I hadn't properly seen for a while. The rest was spent with Brad who lovingly took the day off from his Air Force duties on the lead up to ANZAC day, we did dinner and went out to see a band in a local bar with friends. But yes excuse the iPhone photos I was too excited and I wasn't planning on blogging about the day but I got a few photos so I thought I should! Aren't we attractive? 1 comment on "21 years ooer"